We dispatch all orders (within Great Britain) using an overnight courier service*. However due to the seasonal volumes we are unable to guarantee a next day delivery service. We aim to deliver all orders in 5-7 working days. To enable us to achieve this we will require all engraving information within 48 hours after the order date. We hold huge stocks, but on occasion some items will be out of stock which may delay delivery. If this is the case you will be notified immediately. Please note during busy periods some basic self-assembly may be required. We aim to deliver all express delivery orders in 3 to 5 working days. To enable us to achieve this we require all engraving details within 12 hours of the order being completed online. We hold huge stocks, but on occasion, some items will be out of stock which may delay delivery. If this is the case you will be notified immediately. Please note during busy periods some basic self-assembly may be required. If you are having your trophies delivered on our European delivery service please note that the price quoted is based on your order fitting into 1 x 10kg box. If your trophies need us to use additional boxes or a pallet we will contact you to discuss delivery methods. Delivery times vary depending on the country you are in but we aim for you to receive your order within 15 working days. If your order is more urgent than this then please email us as we can discuss using an express delivery service. Please note that all Duties & Charges are payable to the recipient of the awards. These charges will not be paid by Aford Awards. How will your Trophies be Delivered? We will use Fedex or DPD to deliver your awards to you. Both these carriers have online tracking systems which allow us to track your parcel every step of the way. Both will require someone to be in at the delivery address and will require a signature to confirm receipt. All deliveries are made between Monday and Friday between 8am – 5pm. You will be left a card by the carrier company if you are not in to take the delivery. This card will give you details on how you can re arrange the delivery or where you can collect the parcel from. Morning and Saturday deliveries are available on special request but will be liable to a surcharge. To arrange a morning delivery or Saturday delivery please call 01622 738711 or email sales@afordawards.co.uk before placing your order. All the delivery information above is only applicable on orders placed through our website, orders placed outside of the website may incur different delivery charges. *Some postcode areas will incur a delivery surcharge due to their location. Overnight service is not available in some areas. We will contact you if either of these details affect your order. We offer FREE engraving/personalisation on all our Trophies, Cups, Glass & Crystal. All our prices include up to 50 characters free on all trophies and include free LOGO engraving and text on all our glass and crystal plaques and Tableware. Free LOGO engraving and text is also available on all our Nickel and Silver plated cup ranges. Remember all trophies come with a free generic centre to match the sport the trophy is for. If you would like your trophies to come with your own club badge please visit our bespoke centres page. All Tableware, glass and crystal plaques can come with your own logo and wording engraved into the glass. Please note that if you require a logo on any glass or crystal award we require your logo sent to us in a high resolution BLACK & WHITE jpeg via email. We cannot engrave coloured logo's onto glass or grey scaled images, they must be pure black and white. If you do not have artwork in this 'ready to go' format then we can re draw the artwork but there will be an additional charge. For all glass engraving we will provide one proof of artwork FREE of charge. Any additional proof's will be charged at an additional £5.99 including VAT. 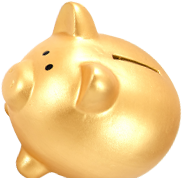 Please note that if you are ordering over 50 of one type of trophy and require individual names on each there is an additional surcharge of 50p per trophy. We check our prices every day so we are confident we have the lowest prices anywhere in the Awards market. If however you do find one of our awards available for cheaper elsewhere please let us know by calling our office on 01622 738711 or by emailing us, telling us the product code and where you have seen it cheaper. We will then not only match the price, but we'll beat it by 5%. 1 to 4 items you will be receiving approximately 5 to 10% discount from RRP. 20 or more products you will be receiving between 25% to 40% discount from RRP. 50 or more products you will be receiving over 40% discount from RRP. PLEASE NOTE If you are ordering more than 20 items which are not all the same product or your order is likely to be over £500 then please call us on 01622 738711 or email us and we can give you a special quote. Remember all our prices include personalisation and FREE delivery if you spend over £90. *Price match and Price beat guarantee only available for matching products with identical additions. Proof of a lower price will be required and the lower price needs to have been found within 7 days of the price match request. Call us on 01622 738711and we'll beat any like for like quote! 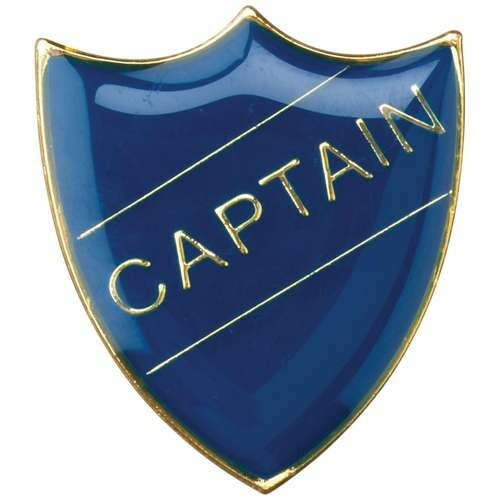 This badge is perfect for the Captain of a sports or academic team. It comes in four different colours which are Blue, Green, Red and Yellow. The size of this badge is 3cm. If you buy 5 or more in the same colour you will qualify for one of our special discounted prices. For more information please call or email us. Need to buy 5 or more? Call us on 01622 738711 and we'll beat any like for like quote! If you select our self assemble option on the basket page, you will save an extra 10% on your order. As a result your Trophies will be despatched with your Trophy plates and centres un-attached. The Trophy plates and centres all come with a self adhesive backing making it easy for you to peel and stick onto the trophies at your own leisure. Please note the self assemble option is not available on all Trophies and Awards. © 2018 Aford Awards. All Rights Reserved. Our term 'Engraving' means to personalise the trophy, which in some instances may mean a form of printing. The type of personalisation undertaken will depend on the type of Trophy and quantity ordered.